TellTale Games continue their episodic hit series with The Walking Dead: Episode 4 – Around Every Corner. Which is now available to purchase on PC and Xbox 360, and the PSN. The penultimate episode sees protagonist Lee Everett and his young ward, Clementine arrive in Savannah, Georgia. With their group severely decimated and growing increasingly more desparate in their fight for survival, this episode promises to really ramp up the tension before the season finale. Given that the last episode was jfilled with some genuinely shocking and saddening moments, it’ll be interesting to see just how intense the final two episodes get as Lee and Clementine deal with not just the dangers of the dead, but the living as well. No formal word has been given regarding a release date for Episode 5, but it is expected to be released around late November/early December. This timeframe ties in with the recent announcement that the first season of The Walking Dead will be made available for retail purchase on the 4th December. 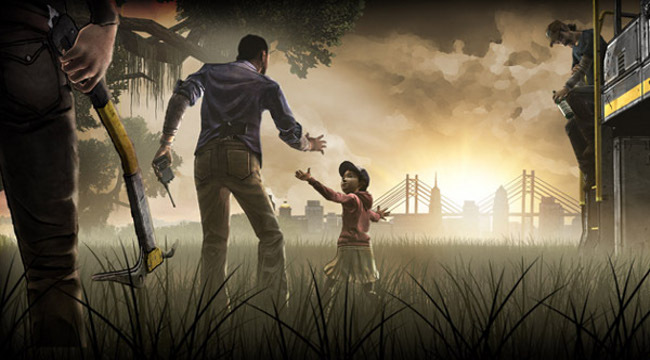 The Walking Dead has been a significantly huge critical and commerical success for TellTale games. The developers have had a long history with the episodic format, developing hits such as the Sam & Max series and Back To The Future, but also struggling to make an impact with much bigger franchises like Jurrassic Park. As well as a retail version of season 1, TellTale Games have commisioned a second series, of which no further news is known about as of this time.